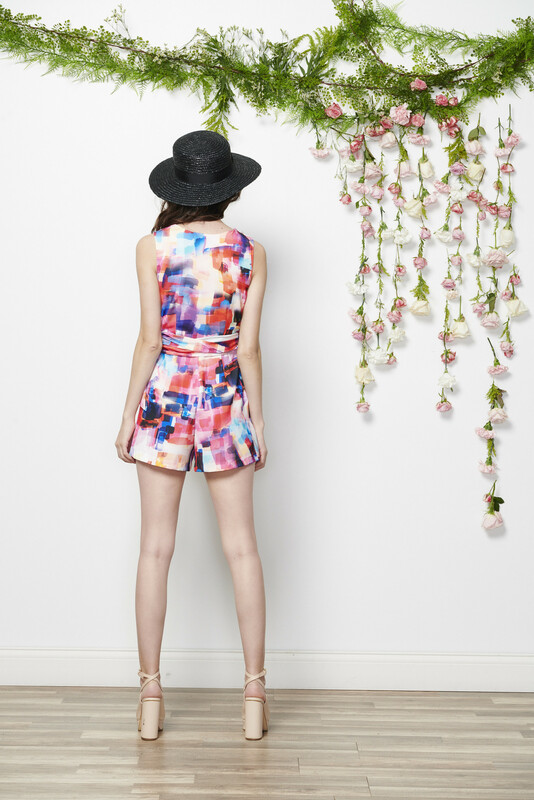 Stunning print, easy to wear silhouette...the Catalina Romper will turn heads this season. Wrap around tie waist and v-neck creates a flattering hourglass shape. Don't miss out on this beauty!